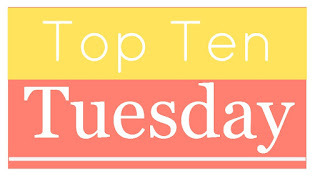 Today's Top Ten Tuesday topic hosted by The Broke and the Bookish is Top Ten Hyped Books I haven't read yet. I'm sticking with books that were published at least a year ago so that I've had plenty of time to read it but just haven't for whatever reason. 1. 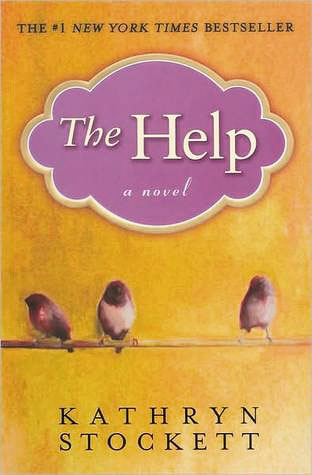 The Help by Kathryn Stockett - This is one of those books that when it first came out everyone told me I should read it. Me being the contrary person I am have dug my heels in and refused to pick it up. I'll probably read it eventually when the contrariness dies down. 2. Outlander by Diana Gabaldon - So when I first heard of this book I didn't pick it up because the premise didn't grab me. I've never been big on time travel. But I've had some blogger friends make very strong cases for reading it which has me curious. Right now it's the length of this one and the ridiculous quantity of books I have that are scaring me off. 3. Girl with a Dragon Tattoo by Stieg Larsson - I actually own a copy of this one and just based on the premise I did plan on reading it. But then I started hearing some things about a few scenes in the book that has made me hesitant. 4. Extremely Loud and Incredibly Close by Jonathan Safran Foer - I read Everything is Illuminated 6 or 7 years ago and it really really didn't work for me. If it hadn't been for the fact a friend had loaned it to me I never would've finished it so I had no desire to read this one. 5. The Book Thief by Markus Zusak - This is one when I first heard about it I got the wrong idea about it. I do want to read it but so many books so little time. I'm thinking maybe audio? 6. The Time Traveler's Wife by Audrey Niffenegger - I remember when this one came out and it seemed like everyone was reading it. It does sound good but just never made it to the top of my TBR. 7. The Orphan Train by Christina Baker Kline - This is on my TBR pile but it just never made it to the top even though I know a lot of people loved it. I fully believe one day I'll be completely caught up! 8. Life of Pi by Yan Martel - This one just never grabbed me. Oddly enough this is one my non-reader child willingly read and enjoyed. 9. Water for Elephants by Sara Gruen - I'm torn on this one. I know a lot of people love it but then the people who don't love it really seem to dislike it. 10. The Fault in Our Stars by John Green - Kids, cancer, guaranteed tears don't really appeal to me. I briefly reconsidered after hearing some positive reviews but I probably won't be reading it. So all of these books appeal to me for one reason or the other but they've never made it to the point where I actually read them. Do you have any books like that? Actually, I guess the better question is how many books do you have like that? I can relate to some of these. I also sometimes resist when a book is super hyped. Not sure why Girl With A Dragon Tattoo sounded cool, but I saw part of the movie once and it just seemed... weird. Maybe just me. Water for Elephants I was intrigued by, and saw the movie. I thought the movie was good, not great, and I did consider reading the book for a while, but never did. Now she has a new one out that sounds interesting... don't know if I'll get to that one either! LOL. In interested in the new Gruen book. The Loch Ness monster looks really interesting! I've read a few of the books on your list. If I had to press one into your hand and make you read it I would probably pick The Book Thief. Actually, there's no probably about it. The Book Thief is definitely the one I'm the most interested in reading. I'm hoping to get to it at some point this year. I haven't read any on your list either. I'd eventually like to read The Help and The Time Traveler's Wife, probably Orphan Train too. The Help looks interesting and the movie looked really good. I have SO MANY books like that. :D Most classics, a lot of hyped books I don't trust, some books that have tons of great reviews, but aren't really part of a genre I like,... On your list, I've only read The Book Thief and TFiOS. It's ridiculous how many books I have. There are so many books I just had to have that I then put them on my shelf and forgot all about them. I've read several on your list. When you do get around to reading The Help, I highly recommend going the audio route. It's a great production! Oh I'd love to find The Help on audio! That definitely sounds like the way to go! I'm a big zero for every one on your list. I tend to avoid the ones that have a ton of hype like that. Not sure why but it's usually a big turn off and has me going the other way quick as I can. You're right, we have a lot of the same books on our lists! Orphan Train was wonderful. The Help is one of those books I know I should read, and I don't quite know why I'm resisting. Maybe I'll take JoAnn's advice above, and listen to the audiobook. Robin listened to The Book Thief but also read part of it; she says there are typographical things in the book that don't translate as well in the audiobook, but it's still good. I'm leaning toward reading rather than listening. My mom liked The Time Traveler's Wife, and it seemed well-written when I dipped into it, but for some reason it just doesn't grab me. I hope you get a chance to read the ones on here you do want to read! The Help is soooo good. Actually the movie was really well done as well. So even if you're rebelling against the book, at least check out the movie. I lovesssss The Book Thief. I'd be interested to check out the audio as well. I want to do a re-read, but like you say, don't have the time. Maybe the audio is the way to go. The Time Traveler's Wife is also worth it. It's such a unique and brilliant book. Many of these books I have read, and I would highly recommend The Book Thief. It's so beautiful and touching. The Fault in the Stars I can take it or leave it, but it is highly quotable. I really enjoyed The Help and felt it was so relevant to today. It wasn't overwhelmingly good, but it was worth reading. There's some good books here though and some that overlap my TTT List. The Book Thief and the Time Traveler's Wife are both worth the read, although both are quite sad. I've also read Water for Elephants and enjoyed it, but I liked Book Thief and Time Traveler's wife much better. Thanks for stopping by the The Local Muse! The Fault In Our Stars is on my list I really need to read something by John Green. Katherine you need to read The help, no pressure are anything but it's amazing story. The Girl With the Dragon Tattoo is really hard to get through because of the subject matter. I really didn't enjoy it. I think if done right, The Book Thief would make an amazing audio book to listen to. I was so close to putting The Help on my list. I had even added the picture of the cover and then changed my mind. :-) Outlander was almost on my list too. I swear I'm never going to read that one ever no matter what anyone says. LOL Famous last words, right? Life of Pi and Water for Elephants are two I haven't managed to read either. Life of Pi, I probably won't read. I'm still on the fence about Water for Elephants. I really liked Girl with a Dragon Tattoo, and had planned to read the other books in the trilogy, but then lost interest. I don't see myself going back and reading the other two. The Book Thief was one of my favorite books. I do hope you get to it at some point. 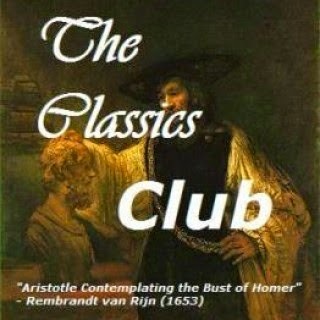 It'd be interested to listen to--with the right narrator, I think it'd be really good. I also really liked The Orphan Train. I just finished The Time Traveler's Wife. :-) That would have made my list for sure if it wasn't a book club pick. The only book I've read on this list is The Fault in Our Stars, which was good, but sad. I haven't been able to even watch the movies. I don't think I will ever read Outlander. It's just not gonna happen. The only book on your list I've read is Outlander which I liked when I read it years ago, but when I tried to read the second book just didn't get into it. I think I may have bought Water for Elephants at some point, but doubt I'll read that either. Great list, Katherine. I have read some of these. Loved The Help and started Outlander back when it began so not a big mountain to climb! I liked Orphan Train on audio and my sister loved the audio version of The Book Thief. I will read it, I have it on the book shelf and have it assigned to a month this year - only way to beat back the TBR pile for me - which I keep adding to. We just can't read everything. Perhaps you could watch Outlander instead, I believe its very good although haven't started it myself. I've read "The Help" and "The Book Thief" and I thought they were both worth reading, but not my favorites ever. The Book Thief has been on my list for a long time, too, and I've been thinking lately about reading it in audio! I agree, The Girl with a Dragon Tattoo definitely has some intense scenes. I enjoyed reading it but actually liked the third book in the series the best. I bought The Fault in our Stars because I found it as a $2 ebook special one day. It was kind of like The Perks of Being a Wallflower for sick kids trying to be overly hipster. I thought it was meh. My sister listens to the audiobooks of the Outlander series on CDs from the library and loves them, and the tv series, but I am not interested (no magic). Seeing your list, I'm now wishing I'd posted today. Fun list! I've actually read 8, and have one more for my summer reading. So, only Extremely Loud and Indredibly Close would make both our lists. I procrastinated on Water for Elephants with all that movie hype. It is good! You learn so much about those vintage circuses. I lagged on The Help too. It was good! I really liked it. I read Steig Larson, the whole series. Man, he could write. That girl is a badass. Outlander is looong. There are tons of historical information packed in it. I wasn't impressed. I was actually just thinking today about how i want to reread The Time-Traveler's Wife. It is just beautiful. I hope you get to read it soon. Thanks for stoppin' by! Have a great week! I've read seven which I think is good! I love the Outlander series and have read each of those fat volumes! 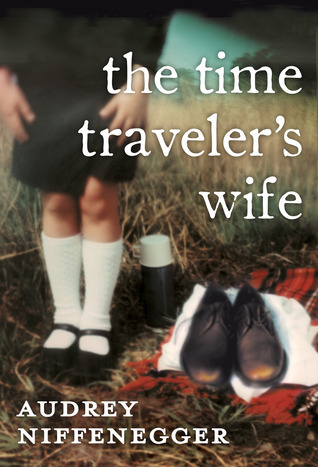 I've also read The Time Travelers Wife & it was pretty good. On my shelf for a while is a Kate Morton book The Forgotten Garden , American Sniper and The Orphan Train. I have heard of a lot of these but I haven't read them!